Let us look at some of the most common questions asked on my blog about where to stay in Ladakh, where to eat in Leh and how to get permits for Leh Ladakh. I am starting this five-article series of Leh Ladakh FAQs to answer all your questions about planning a successful trip to Ladakh. Q1. What are the good hotels to stay in Leh Ladakh? Q2. Should I prebook any hotels for my Leh Ladakh trip? Q3. Should I stay at Sarchu or Pang or Jispa on Manali Leh Highway? Q4. Can I pitch my own camps in Ladakh? Q5. Can I pitch my own camps at Pangong Tso? Q6. Can I pitch my own camps at Tso Moriri? Q7. What are the good places to eat in Leh Ladakh? Q8. Can I find vegetarian food in Leh Ladakh? Q9. What are the permits required for Leh Ladakh trip? Q10. How can I get Ladakh inner line permits in advance? Q11. What is a protected area permit and who needs them? Q12. Can I get permits for Ladakh online? Q13. Can I get a permit for Hanle village? Q14. Can I get a permit for Pangong Tso to Tso Moriri direct route from Chusul? Q15. Can I get a permit for Umling La pass? Q16. Do I need a permit to travel from Srinagar to Leh? Q17. Do I need a permit for Zanskar Valley? Q18. 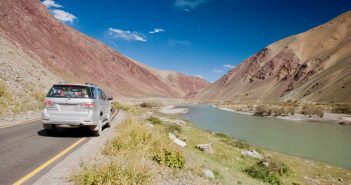 Do I need a permit to travel from Manali to Leh? Q19. How can I get Rohtang Pass Permit online? Q20. Is Rohtang Pass permit required for bikes? Q21. Do I have to get Beyond Rohtang Pass permit or both for Leh Ladakh trip? Q22. Is Rohtang Pass permit required when coming from Leh to Manali? Q23. Can I take an old car to Rohtang Pass? Q24. Can I take an old bike to Rohtang Pass? Q25. Does prepaid sim card work in Ladakh? Q26. Where do I find mobile phone connectivity in Ladakh? Q27. Does Jio sim card work on a Leh Ladakh trip? Q28. Does Vodafone phone connection card work on a Leh Ladakh trip? Q29. Does Aircel phone connection card work on a Leh Ladakh trip? Q30. Is it safe to travel to Leh Ladakh? Q31. Is it safe to travel on Srinagar Leh Highway during 15 August or Independence day? Q32. Do I need a travel agent for my trip to Leh Ladakh? Q33. Do you organize any tours or trips? This section should answer all your questions related to accommodation, stay and food. Once, you go through these questions you will understand where to stay and where to eat on a Leh Ladakh trip. There are plenty of stay options available in entire Leh Ladakh region that suits budgets of all the types. Right from basic dorm/hostel type facilities to luxurious villas, you will find everything in Leh town. There is no shortage of cheap guest houses to stay in Leh for someone on a budget and traveling as a solo backpacker. On the other hand, if you are traveling with a family, you can also get many moderate budget guest houses to stay in Leh. Once you move outside Leh town, the options start getting limited especially in the remote areas of Changthang where Tso Moriri and Hanle exists. At Hanle, there are only 3-4 guest houses to stay while in Tso Moriri, few camps exist and homestays. But options to stay at Tso Moriri are a bit limited especially when it comes to the budget camps. Majority of the camps are in the range of INR 3000+, so a bit heavy on the pocket. In Nubra Valley, Hunder and Deskit offer a variety of options to stay while Turtuk, Sumur, and Panamik have limited options. 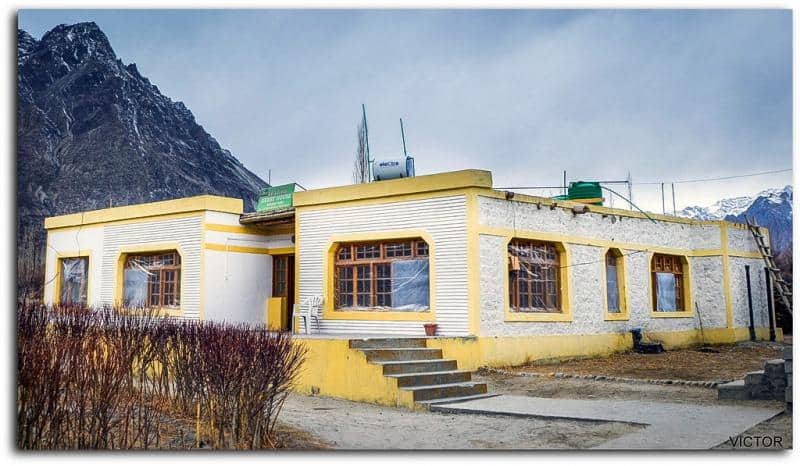 Out of all five places in Nubra Valley, Deskit offers some luxury properties and camps too. While Hunder has a variety of homestays and small family run guesthouses. Hence, you should not worry about options for stay in Nubra Valley. Finally, at Pangong Tso lake, you do have many luxury camps, moderate budget camps, and homestays. Overall apart from home stays at Pangong Tso, most camps are either luxury or a little above average budgets. Hence, for a budget backpacker or solo traveler, home stays at the best bet to stay at Pangong Tso. When coming to Leh from Srinagar Leh Highway, most of the people stay at Kargil. It has a wide variety of options to suit every budget. 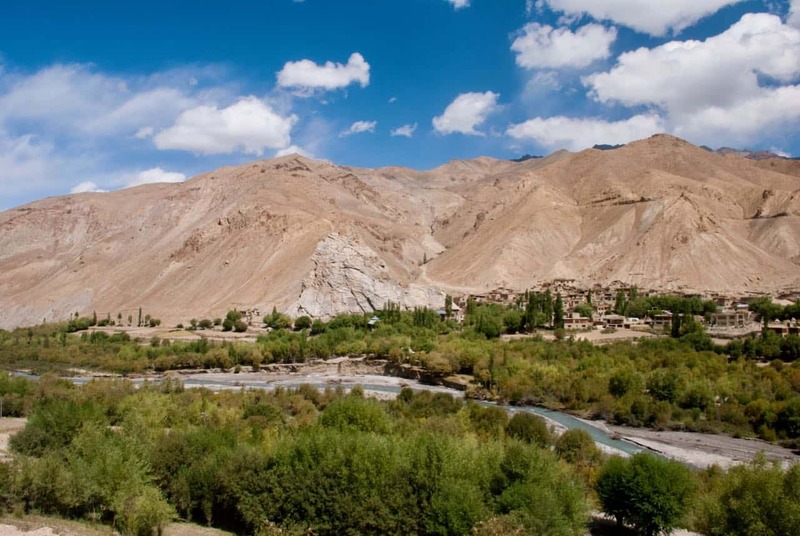 Small guest houses to decent hotels, Kargil has everything to offer. However, you can also find places to stay overnight at Sonamarg, Drass, Lamayuru, Mulbekh, Uley Topko, and Alchi / Likir region as well. Mulbekh, especially with some budget, stay options is coming up as a pretty decent place to stay on budget when traveling on Srinagar Leh Highway. Similarly, accommodation options at Manali Leh Highway are pretty much limited to Keylong, Jispa, and Sarchu in the majority. Rest you will find some camps or guesthouses/homestays to stay overnight at Khoksar, Sissu, Zingzing bar (dorm tents), Bharatpur (dorm camps), Pang (dorm camps), Rumtse and Upshi. Alternatively, if you are one of those who likes to get the whole package done through a single point of contact then you can get in touch with one of our handpicked Destination Specialists to book your hotels, bikes or taxis at the special discounted prices for DoW Community members Ladakh Hotels & Camps Booking Form. It is a personal choice to go to Ladakh with prebookings or on the spot bookings. What I suggest in general is that if you do not plan to stay at any specific hotel and if you are OK with searching the place a bit upon reaching, then I feel you could save some money on the hotel prebookings. Secondly, if you are not prebookings, it also provides you with much more flexibility in terms of dates you reach in a particular place which allows any last minutes changes. In the places like Leh Ladakh where road conditions are uncertain enough to force a change in the plan, the flexibility in the plan should always be on top of the list. Finding a place is not that difficult in Ladakh if you are accommodating with little things here and there. Most taxi drivers will be able to help you with the stay options but even if you are planning on your own or self-driving, the same is applicable. Keep the list of good stays in Ladakh available on DoW website handy with you. Unless you are too particular about places to sleep and stay or want a particular hotel or camp only to stay in Leh Ladakh, in general, it should be OK to book on the spot. Pro Travel Tip: I do carry my personal sleeping bag everywhere I travel which helps me adjust to many places of stay even if it is a basic homestay or dhabha dorm tent/camp. 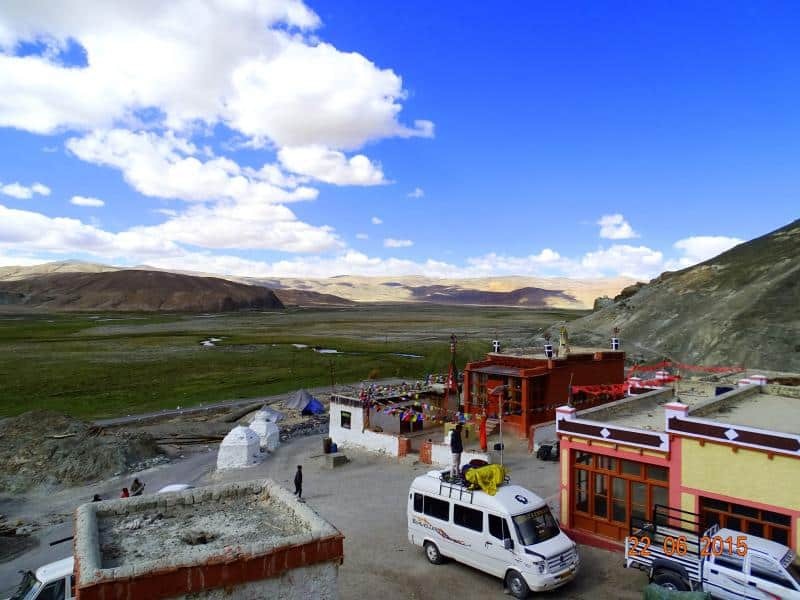 You must avoid sleeping at Sarchu or Pang while traveling to Leh from Manali because your body will not be acclimatized by the time you reach Sarchu from Manali. It is always better to stay either at Keylong or Jispa so that you minimize the chances of falling sick or hit by AMS while going to Leh from Manali. And, then next day complete the rest of the journey to Leh without sleeping in between anywhere by leaving early in the morning from Keylong or Jispa. I prefer staying at Jispa more than Keylong because Keylong gives the feeling of a town while Jispa is closer to nature having Bhaga river running just aside the Manali Leh Highway. If you are coming back via Manali – Leh, then it should be OK to stay overnight at Sarchu as your body will be acclimatized by that time within Ladakh. Yes, you can pitch your own camps almost anywhere in Ladakh. However, whenever possible, I will suggest that you pitch them at a place where there are some dhabha tents put up by the locals or where other camping guys pitch their camps or somewhere near a local house in the village or in their garden/lawn. All you will need is to gently ask them (villagers/dhabha guys/camping guys) for permissions to pitch the camp. Most likely they will allow, otherwise negotiate for a small little tip or move on to some other such place nearby. Some of them will allow if you buy food from the dhabha they might be running. Please make sure you avoid pitching the camps at Ramsar sites or wetland reserves like Pangong Tso or Tso Moriri where camping is prohibited. You should pitch the camps away from the lakes, mostly 500 meters. As Ladakh has a decent army presence, you must take care that you are not pitching your camps in the army zone or security sensitive zones near border areas. In the end, you should leave nothing behind at your camping site but footprints. You cannot pitch camps near Pangong Tso lake because it is a designated Wetland Reserve Ramsar site. However, you can pitch the camps away from the lake where other camps are present or nearby Man, Merak, Spangmik and Lukung villages. Please help in preserving the nature and do not camp at the shores of Pangong Tso. There is a reason it is designated as wetland reserve, let’s do our best to protect it. Similar to Pangong Tso, you cannot pitch camps near Tso Moriri lake as well because it is also a designated Wetland Reserve Ramsar site. 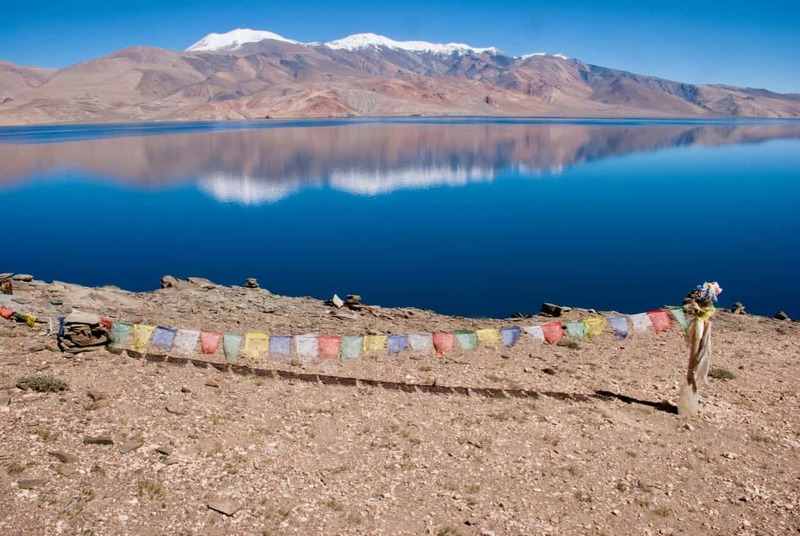 You can pitch your camps away from the Tso Moriri lake where other camps are present or nearby Korzok village. 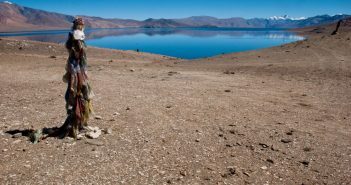 Please help in preserving the nature and do not camp at the shores of Tso Moriri lake. There is a reason it is designated as wetland reserve, let’s do our best to protect it. There are plenty of eateries and restaurants in Leh town. You will be able to find pretty much all type of food in Leh. Right from Punjabi to Gujrati to South Indian to Italian to Mughlai to Tibetan or Ladakhi, you will find all types of cuisine in Leh. The fort road, main market, and Changspa road are full of such eateries and dine-ins. However, for all other places outside Leh like Nubra Valley, Pangong Tso or Tso Moriri, you will need to either keep packed food from the hotels or eat at the small tea shacks / dhabhas on the route. On Srinagar Leh Highway, the dhabhas at Drass server some really good food. At Kargil, I never found good food in the restaurants or market except for the hotel kitchens. The restaurant at Lamayuru serves amazingly delicious food, slow service but worth it. You can easily find vegetarian food all over Leh Ladakh region. However, there are only limited restaurants which are 100% pure vegetarian, that is no meat or egg is served in them. Neha Snacks is one of them where you can have pure vegetarian food but limited to snacks. As you move from Leh for sightseeing in Ladakh, you anyways have to get the food packed from the hotels who have kitchens which are not restricted to just vegetarian food. So, if you are too much worried about finding just 100% pure vegetarian restaurant outside Leh, I really doubt that you will survive without carrying your own food. And on Manali Leh Highway, you should find vegetarian food at Khoksar, Sissu, Keylong, Jispa, Darcha, Sarchu, Pang, Rumtse and Upshi. But again, once you leave Manali, finding 100% pure vegetarian restaurant or dhabha on Manali Leh Highway will be tough as rest of the places. This section should answer all your questions about many different permits required a trip to Ladakh. Once, you go through these questions you will understand what permits are required to make a complete Ladakh trip. As an Indian tourist, you need to have Inner Line Permits to travel to inner line regions of Leh Ladakh which includes Nubra Valley, Khardung La Pass, Pangong Tso Lake, Turtuk, Tyakshi, Digger La, Tangyar, Chang La Pass and Tso Moriri Lake among the tourist spots in Leh Ladakh. Indian tourists can also travel up to Warshi village in Nubra Valley which is ahead of Panamik on the way towards Siachen Base Camp. You can hence cover Yarma Gompa & Yarma Gonboo monasteries if you like to visit them which falls upon the route. The route goes like Panamik – Taksha – Sasoma – Warshi, which is about 39 KMs ahead of Panamik. The permits for Nubra Valley will cover these places. However, in order to visit Siachen base camp, you need special permissions from the army. The permits from Leh DC office itself is not sufficient enough to visit Siachen base camp. On Hunder side in Nubra Valley, tourists can travel all the way up to Tyakshi village ahead of Turtuk from where you can see India – Pakistan border. Apart from these places, if you are traveling travel to Hanle or on Pangong Tso to Tso Moriri direct route from Chusul, then you need the inner line permit from Leh DC office which will provide you a special stamp on your permit copy to travel to Hanle and Chusul route. You can apply for inner line permit at Leh DC office or Tourist Information Center (TRC) at Leh. You need to submit a valid Photo ID nationality proof and pay the required fee of Rs 400 + Rs 20 per day that you will stay in Ladakh to visit these places. You can get the Ladakh inner liner permits in advance by getting help from a tour/travel agent or with the help of the hotel you will be staying in Leh. You can apply for the permit online and send them the required documents (photo ID proof) and the travel agent/hotel guys can pay the required fees to get the permit for you. All foreign nationals, NRIs having PIOs or OCIs still need Protected Area Permit (PAP) or Restricted Area Permit (RAP) to visit Inner Line regions of Leh Ladakh including Nubra Valley, Pangong Tso lake, and Tso Moriri. Some places have been recently opened for foreigners which includes Man, Merak villages near Pangong Tso, Loma bend from where the diversion to Hanle goes (but Hanle is still restricted for foreigners). Pachathang & Tyakshi villages in Nubra Valley near Turtuk have also opened for foreigners. 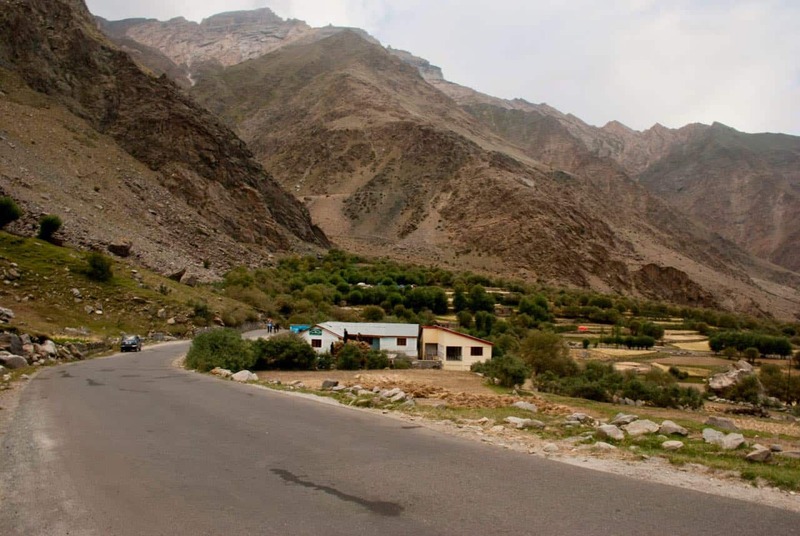 Some routes in the Kargil / Batalik sectors have also been opened for foreigners which include Kargil to Leh via Khangral – Shaker – Chiktan and Dah to Kargil along Darchik – Batalik – Slimo. 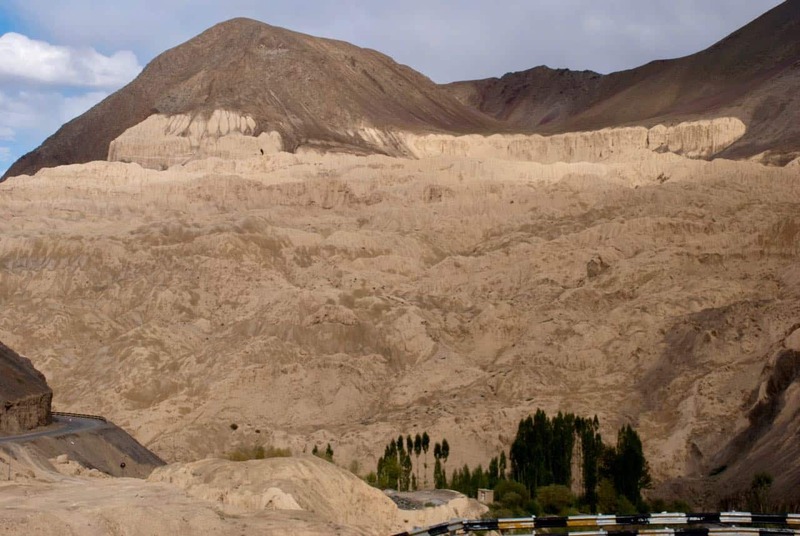 There is no need of any permit in order to visit Suru and Zanskar Valley, south of Kargil. Permit for citizens of Pakistan, China, Afghanistan, Bangladesh, and Burma are issued by the Ministry of Home Affairs (MHA) and permits for those people who are on diplomatic or official VISA are issued by the Ministry of External Affairs (MEA) in Delhi. If interested, you can read the complete details about Protected Area Permits in Ladakh. Yes, inner line permits for Leh Ladakh can be applied online at the official website www.lahdclehpermit.in. You can fill the required details and select the tour operator or self when applying for these permits. 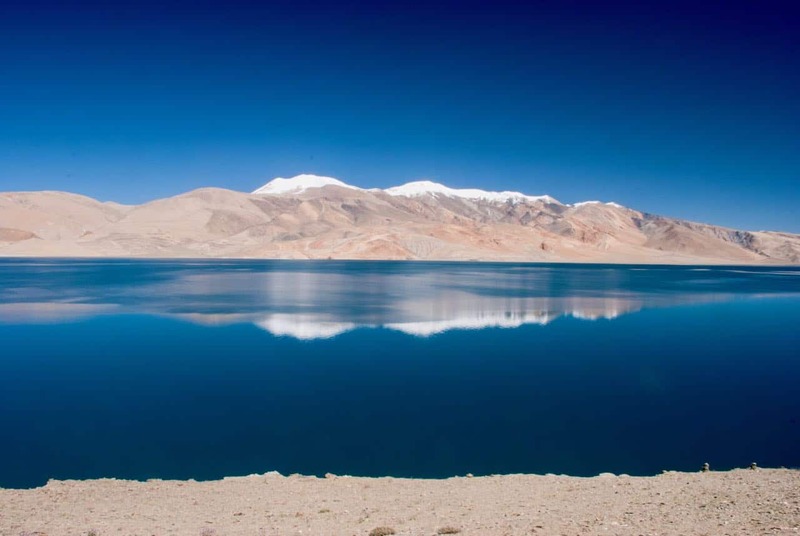 Permits for Nubra Valley, Pangong Tso, and Tso Moriri are only available online. However, the permits for Hanle and Pangong Tso to Tso Moriri direct route from Chusul are not available online. You need to apply for these permits at the Leh DC office only. If you select the tour operator then you can pay the fee online to them and get in touch with them to get the permits in advance. Of course, the tour operator will charge you the fee for their services. However, if you select it yourself, you need to pay the fee and get the permit copies stamped at Leh DC office or Tourist Information Center in Leh. You can read in detail about this topic on how to get online permits for Leh Ladakh. Yes, you can get the permit to travel to Hanle village by applying them to the DC office in Leh. There will be an additional stamp that will be put on the permit copies that will authorize you to travel to Hanle beyond Loma check-post. Otherwise, the army will send you back from Loma check-post. Yes, you can get the permit to travel on the direct route from Pangong Tso to Tso Moriri that passes through Chusul village. The permit can only be applied in person at Leh DC office. There will be an additional stamp that will be put on the permit copies that will authorize you to travel beyond Chusul check-post. Otherwise, the army will send you back from Chusul or Man Merak village check-post. In 2017, BRO has built and opened the world’s highest road over Umlingla pass or Umling La connecting Chisumle and Demchok villages. Umling La pass is at an altitude of 5,883 Mtrs or 19,300 Feet. 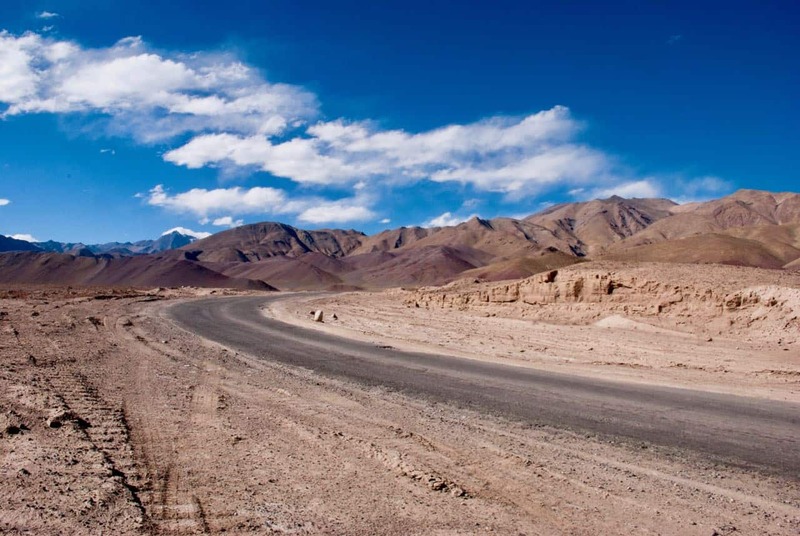 It is about 105 KMs from Hanle Village and about 235 KMs from Leh. No permit is required to travel from Srinagar to Leh from Drass, Kargil, and Lamayuru route. You do not need any permit to travel to Zanskar Valley. So, if you are a foreigner and have trouble getting permits for tourists places in Ladakh, then you can travel to Zanskar Valley. 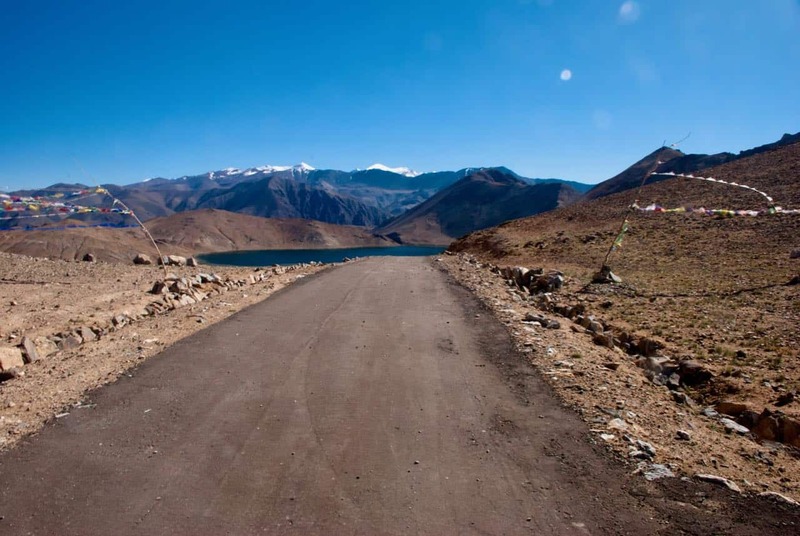 It will give you an almost similar feeling of traveling to Ladakh with the similar landscape. If you travel from Manali to Leh over Rohtang Pass, then you need to get beyond Rohtang Pass permit to travel beyond Rohtang Pass. However, if you are traveling from Leh to Manali, then no permit is required on Manali Leh Highway. Tourists can apply for Rohtang Pass permit online at either official website of Kullu administration or using the newly launched Rohtang Pass Permit Mobile App by Kullu administration. Both Rohtang Pass permit and beyond Rohtang Pass permit are available online and using the mobile app. The permit cost is Rs 50 only. The Rohtang Pass Permit Mobile App is available both in iOS and Android stores. Please note that only two permits per mobile device or IP address is allowed. So, if you are using the shared Internet like office or college or cyber cafe Internet, the possibility will be someone else would have applied for the permit and you will either see an error or quota full as the message. Hence, apply from a mobile or PC with an Internet connection that you think others won’t have used to apply for Rohtang Pass permit. Yes, Rohtang Pass permit to travel beyond Rohtang Pass is required by all vehicles including cars and bikes. So, if you are a biker then as well you need beyond Rohtang Pass permit to take your bike on a Leh Ladakh trip. You only need Beyond Rohtang Pass permit of Rs 50 to travel to Leh Ladakh. The other permit of Rs 500 is required by tourists who are traveling only to Rohtang Pass for tourism purposes. No, Beyond Rohtang Pass permit is required only when you are traveling in the direction of Manali to Leh. When coming back from Leh to Manali, Rohtang Pass permit is not required. Your car should not be more than 10 years old in order to get the Rohtang Pass permit. Cars older than 10 years, both petrol & diesel, are not allowed to cross Rohtang Pass and hence, the Rohtang Pass permit will not be issued for such vehicles. Similar to the cars, your bike should not be more than 10 years old in order to get the Rohtang Pass permit. Bikes older than 10 years are not allowed to cross Rohtang Pass and hence, the Rohtang Pass permit will not be issued for such vehicles. This section should answer some questions that I could not fit into a dedicated category but are so commonly asked that they deserved a mention in this book. Prepaid mobile connections outside Leh Ladakh does not work in Ladakh. As a state, J&K does not allow outside state prepaid connections. The postpaid connections from BSNL / MTNL and Airtel do work in Leh Ladakh. In terms of quality of the connection, Airtel is the best in Leh Ladakh but the coverage of Airtel connection is pretty much confined to Leh town and its vicinity. Hence, when wide coverage is required within Ladakh then BSNL / MTNL mobile connections have the widest coverage. I highly recommend carrying a BSNL / MTNL postpaid mobile connection to Leh Ladakh. Mobile connectivity in Leh Ladakh is fairly limited to Leh town and Nubra Valley only within Leh Ladakh. 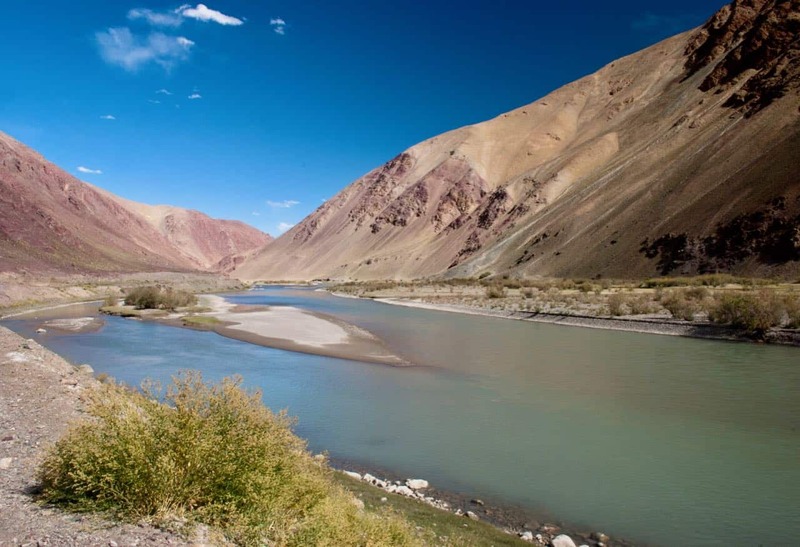 There is limited connectivity at Hanle village and Pangong Tso (Lukung village), however, many times the connection cannot be connected at these places. Tso Moriri, on the other hand, does not have any mobile phone connectivity. The last place where you will get mobile signals towards Tso Moriri is Chumathang. On Srinagar Leh Highway, you will get signals up to Sonamarg, then once you reach nearby Drass and then finally in Kargil. Once you leave Kargil, you will get mobile connectivity at Lamayuru and then finally when you are near Leh. In between places on Srinagar Leh Highway do not have any mobile phone connectivity. 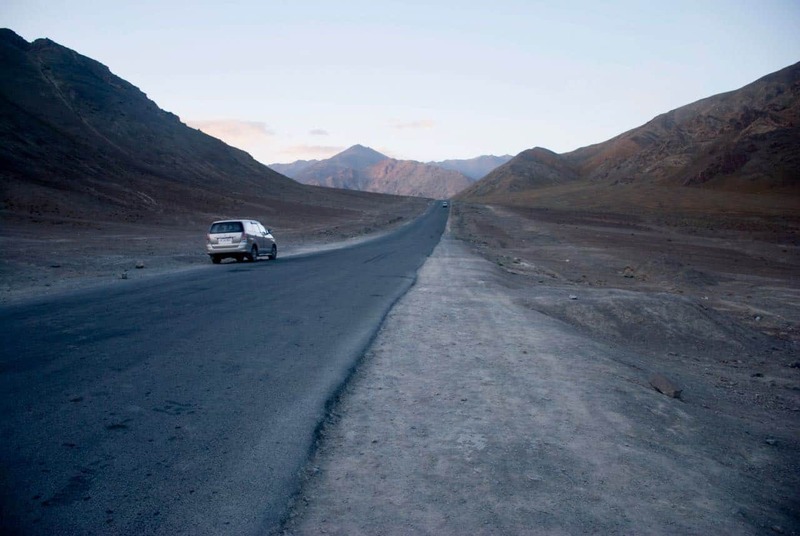 Similarly, on Manali Leh Highway, you will get mobile signals up to Keylong and nearby Jispa. Once, you leave Jispa or Darcha, the mobile phone connectivity is lost for rest of the Manali Leh highway and you get the signals only around Upshi / Karu near to Leh town. There is no signal at Sarchu or Pang. Hence, it becomes very important that you inform your loved ones back at home whenever you get an opportunity to contact them before leaving for the day or after reaching your destination. This will help them keep your whereabouts in case you get stuck in between some no phone connectivity zones. At the time of writing this book or article (2018), Jio had installed the towers in Leh Ladakh and connectivity has been started in Ladakh in September 2018. The Internet data speed of Reliance Jio connections has been said to be quite fast. Reliance Jio is also planning to provide mobile phone connectivity up to Turtuk in Nubra Valley and Sarchu on Manali Leh Highway. No, Vodafone connectivity is not present in Leh Ladakh. No, Aircel connectivity is not present in Leh Ladakh. I have never heard or experienced anything in particular to the safety concerns of the travelers in Ladakh, in my last 9 years of experience with traveling to Leh Ladakh. There have been a couple of instances when unrest in the valley especially in Kashmir may have disrupted the traffic movement but in general, Ladakh remained safe, especially in the tourist areas. It is always recommended that you leave the cities in Kashmir in the early morning hours in cases of bandhs which usually are pre-declared. As long as you can stick to main highway roads and tourist areas, in general, there aren’t any untoward issues that I had known. Having said that, please keep in mind that Leh Ladakh is an adventure travel destination and the word adventure does come with risk, sometimes the risk of life… So, be a sane traveler and try not to cross the thin line between adventure and craziness. In general, it is fine to travel on Srinagar Leh Highway during Independence Day. The tourist areas remain safe mostly but bandhs can affect the traffic movement. It is always advised that you leave the Srinagar city in the early morning hours in such cases. Usually, these bandhs are pre-declared and hence you can leave the city in early morning hours judging the situation before the bandh gets active. As long as you can stick to the main highway and tourist areas, in general, there are no issues on traveling on Srinagar Leh Highway. It is recommended to follow the news during your travel days. Also, you can skip the stay at Srinagar and move to Sonamarg the same day you plan to reach Srinagar. But, it adds about four more hours to the day’s journey. If you or your family is really concerned about Kashmir situation, I will suggest that you travel to Ladakh from Manali Leh Highway. Having said that, as it is August and monsoon, you will definitely face monsoon hassles as described in the previous section of this article/book. I will still like to point out some pros and cons of planning your own Ladakh trip or buying a package tour from a travel agent. When you plan a trip to Ladakh on your own, you get the advantage of a customized itinerary, your own choice of accommodation, control on quality stay and flexibility in the plan. However, you need to invest time searching the information over the Internet and reading reviews. While when you buy packaged tours from travel agents, you get peace of mind, an organized tour along with a single point of contact to connect in case of problems. But, such package tours are going to be expensive in comparison, restrictive in nature of itineraries and you may not have an idea of what is coming ahead without researching the place. Personally, I plan my own trips always because the biggest advantage to me is to have control of my plan and get an opportunity to research about a place before landing there without any clue about it. 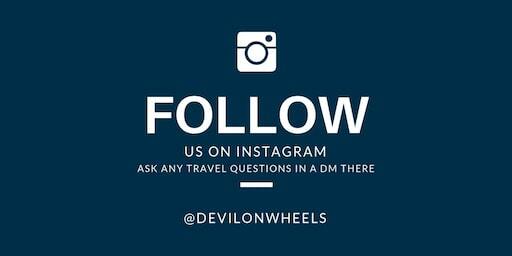 PLEASE note Devil On Wheels is a travel blog to share information with fellow like-minded travelers for FREE and help deserving locals get a promotion platform. We neither organize any tours nor offer any travel packages. There are some people who do sell tours and run commercial things with same or similar names like ours with a few spelling changes. Please BEWARE of such copycats using our name to disguise fellow travelers, as they use our name or similar name to fool people for their own commercial purpose. In the past, we have heard tons of complaints about them from the people who got confused in entities and ended up trips with them. In the next article of the series, I will answer the frequently asked questions about taxis, self-drives and bike rentals in Leh Ladakh. I hope this article answers your questions with respect to inner line permits, phone services, where to eat and stays in Ladakh. 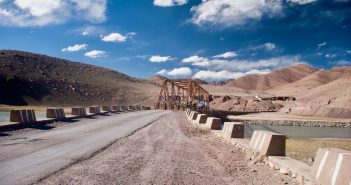 Your blog gives sufficient info for planning the trip to Ladakh. Thanks for this. I have been trekking in Himalay for many years. I am planning to walk from Manali to Leh in Aug 2019 with 3/4 friends. I will like to get help from you to plan my walk. I want to plan the day wise program with places to stay. I think that we will have to keep a support vehicle with us to carry our luggage, may be tents and minimum cooking facilities. Vehicle will be useful in case anyone is not able to walk. Please give your opinion on this.